Building up your arms in a "top down" philosophy is the absolute best way to do things. If you want to see success in your biceps and triceps, they need to have a good "trunk" to start with. Today, you're going to get the best shoulder exercises out there. If you start building up today you're going to have a great body in not time! If you're a beginner when it comes to weight lifting, then the shoulder shrug is going to be your best friend. It is an easy enough lift to start out with (you simply just follow the namesake), and can be a good confidence builder as you start working up to higher weights. Here's the thing that rarely gets mentioned that you must NEVER forget though: you need to hold that shrug at the top of the lift. The simple repetition isn't going to accomplish anything for you. If you're not holding the lift and making the muscles really struggle then you're just wasting your time. The shoulder press/military press variations are going to be the staple of your shoulder workout. You're going to be able to lift the most weight from these positions, and you're going to get the widest range of muscle use as well. The biggest thing that you're going to want to watch for on these lifts is your form. 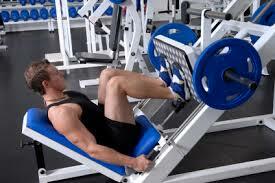 It is very easy to try and push the weight with your arms, your legs, or even (God forbid) your lower back. At best you are cheating yourself out of the lift, at worst you are risking serious injury. Make sure that you incorporate your shoulder workout with a full body plan, and that you check with your doctor before starting any new plan. Your long-term health and safety needs to come before everything else!